Free Shipping on this 100% Cotton Hockey Mom Tee. Imprint on front. Pre shrunk. Superb quality. Long sleeves. Free Shipping! Adult and youth sizes. available in white only. 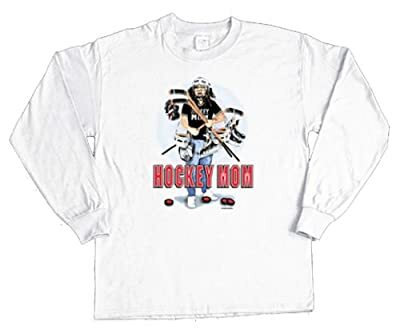 Hockey Mom Equipment Imprint on Front from the creative geniouses at Pure Sport.